I have a modest collection of brushes (15) nothing like many here. BUT....This brush IS THE BEST..
forming on my face....I see the brush rubbing on my face. That's it!! Brads current lot of Select fans are one of the best in the business currently. They are Awesome! A little background on my brush history. I’ve owned and tried brushes by Thäter, shavemacs, Simpsons (Manchurian), Zenith, Maseto, Elite and Saponificio Varesino to name a few. The Saponificio Varesino being my favourite. I'm yet to try ones by Declaration or El Druida but they're both top of my list to get next. This is the neatest knot I’ve come across. It’s a ‘Select’ Fan knot. The tips are crusty when dry and unbelievably soft when wet. The tips are already hooking after only a handful of uses. It isn’t the most densely packed or has loads of backbone but this isn’t detrimental to it’s performance. The flow through is excellent and probably the best I’ve come across. The backbone is there on the painting strokes and it’s firm but feels as if there’s nothing there at the same time. This is right up there with my SV brush and that's the highest praise I can give to any brush. A little background on my brush history. I’ve owned and tried brushes by Thäter, shavemacs, Simpsons (Manchurian), Zenith, Maseto, Elite and Saponificio Varesino to name a few. The Saponificio Varesino being my favourite. I'm yet to try ones by Declaration or El Druida but they're both top of my list to get next. Awesome review and Great pictures! Thanks! 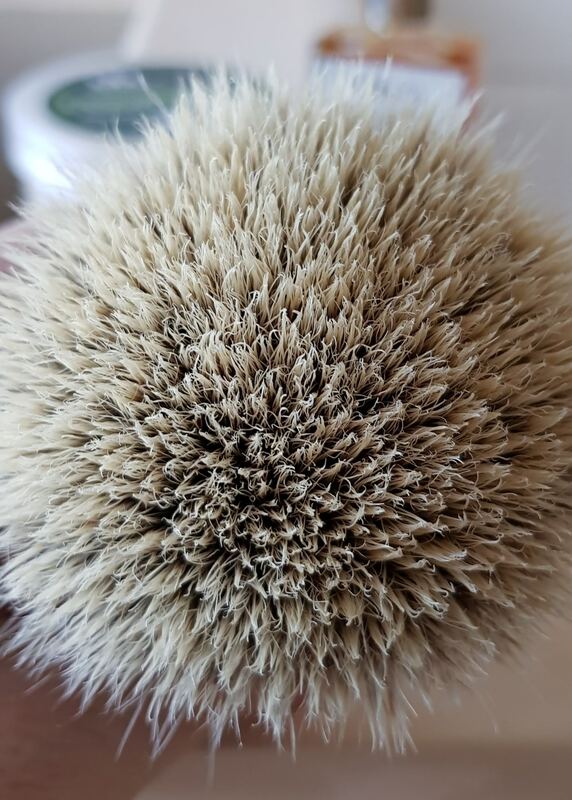 I have the same brush and I completely agree with all your sentiments! My favorite knot at the moment even over Declaration’s! 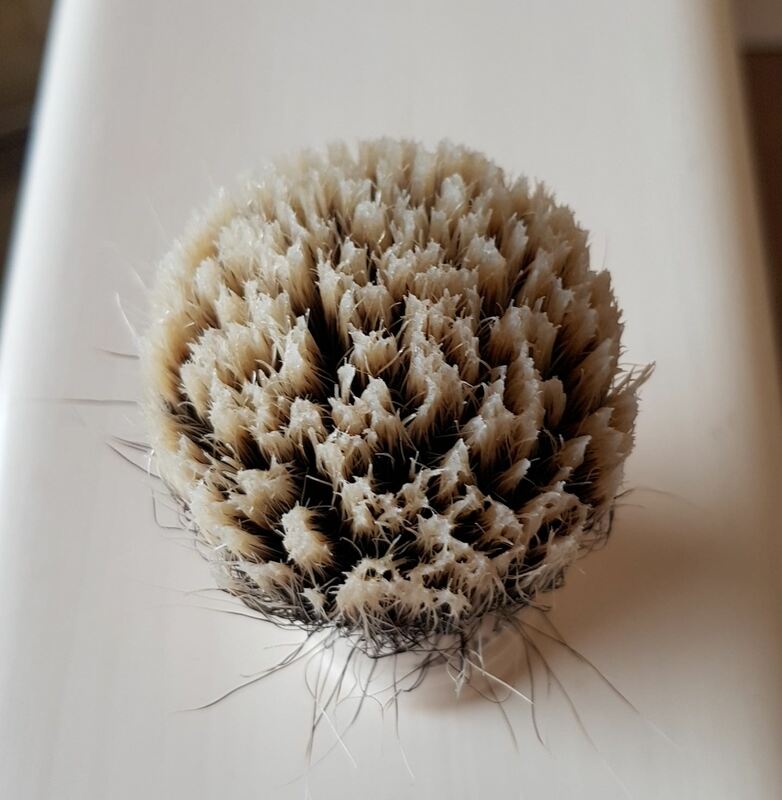 Awesome, Awesome brush! @discerningbev Many thanks for your kind words, much appreciated. My second 1804A2 has arrived......my first was a fan, see earlier post in this thread. I loved it so much, I ordered a bulb knot this time. 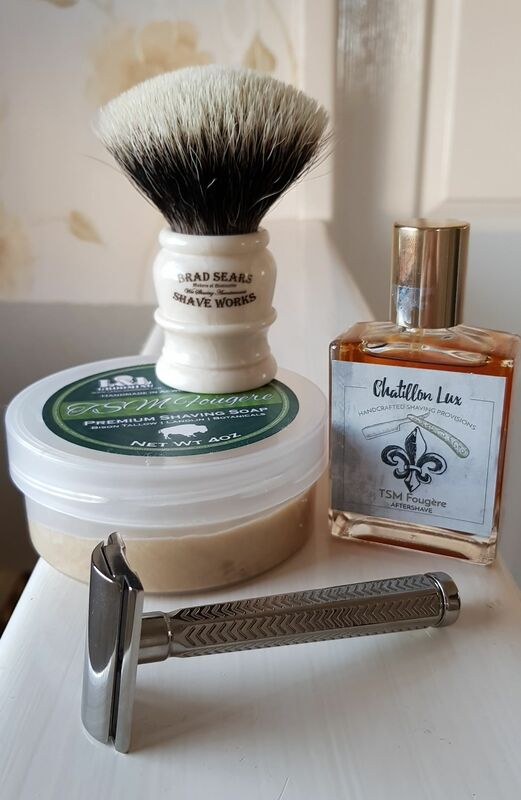 Haven't used it yet, just did a test lather. (07-23-2018, 07:06 AM)zipper Wrote: My second 1804A2 has arrived......my first was a fan, see earlier post in this thread. I loved it so much, I ordered a bulb knot this time. Awesome! Enjoy! Let us know your thoughts when you use it. Used It.. Just as great as the fan, such soft magical tips when lathered. I would suggest to all, IF YOU AIN"T GOT IT....GET IT. My two beat Saponificio Varesino, Thater, ShaveMac, Vie-Long, Kent, Omega whatever else I have. There are no more 28 fans left. (07-24-2018, 06:22 PM)Kehole Wrote: There are no more 28 fans left. 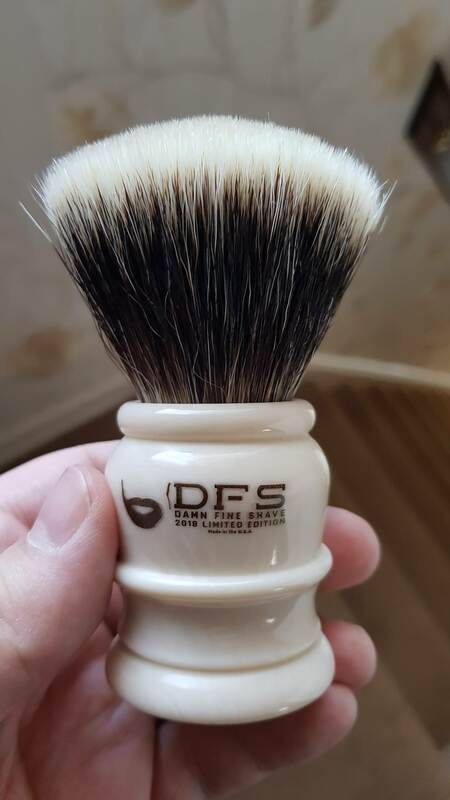 I may have said this before but I quickly came to conclusions after I started wet shaving that I much preferred fans to bulbs except on brushes at or over 30mm, and then it's a tie and after buying and/or trying most of the major brands I knew I would only be happy with Rooney and M&F brushes, that is to say Lee Sabini's designs and knots. As time went by other brushes came to market that appealed to me aesthetically at least as much but my situation put restraints on me that didn't allow me to take a chance. 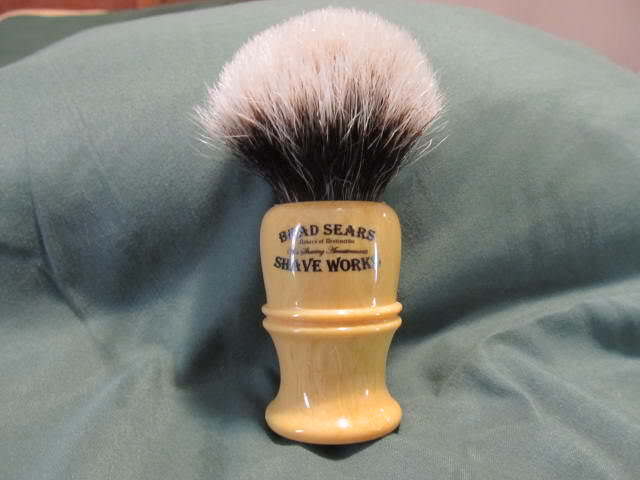 But then a little money came my way around the same time I saw Brad Sears brushes for the first time. To shorten this ramble, I took the chance and now I have a third brush label on my list. WHEW! I just placed an order yesterday for a 26mm Select Fan. Fingers crossed that stock is there for mine! Boy I hope I am not selling false hope. I think 26’s are available still but check with Brad obviously. I’m just going off a convo I had with him yesterday. I tried to buy the last 28mm fan but someone purchased a gonzo a minute before I pulled the trigger! (07-25-2018, 08:20 AM):cheers:ehole Wrote: Boy I hope I am not selling false hope. I think 26’s are available still but check with Brad obviously. I’m just going off a convo I had with him yesterday. I tried to buy the last 28mm fan but someone purchased a gonzo a minute before I pulled the trigger! (07-25-2018, 08:20 AM)Kehole Wrote: Boy I hope I am not selling false hope. I think 26’s are available still but check with Brad obviously. I’m just going off a convo I had with him yesterday. I tried to buy the last 28mm fan but someone purchased a gonzo a minute before I pulled the trigger! I think it's safe to assume they still have 26mm fans still in stock. I just received my invoice from Brad. 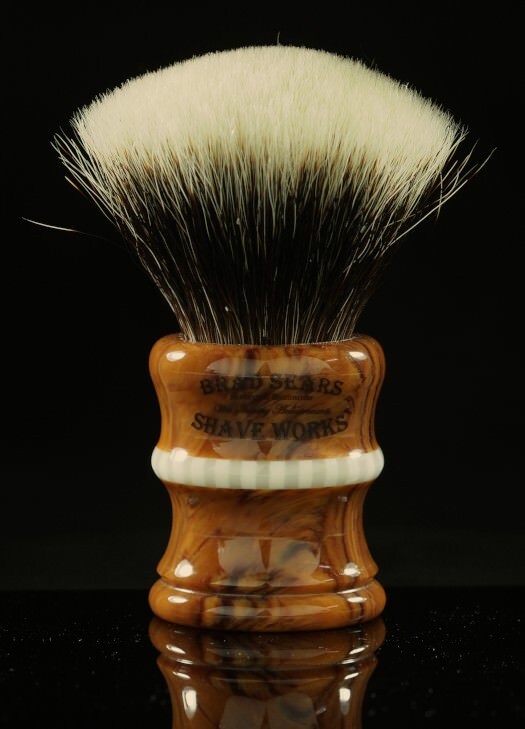 I'm excited to own my first brush from Mr. Sears! Oh good! I think this batch of select and declaration b5 are the 2 best knots available right now. I LOVE my 26 but find it a bit small even compared to other 26mm knots. That’s why I was looking for a 28.